Saw this pretty cool fly storage/organization solution on Nick Cobler's Instagram over the weekend, and he allowed me to share it here. 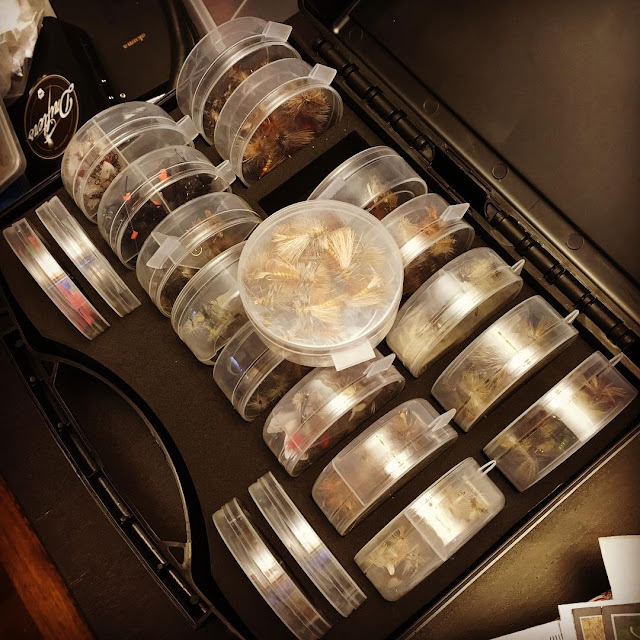 If you've spent all winter tying flies, I think this is a pretty awesome way to manage your backstock, while also selecting a few of the divided plastic cups to use as a "grab and go" mixed stock fly box. 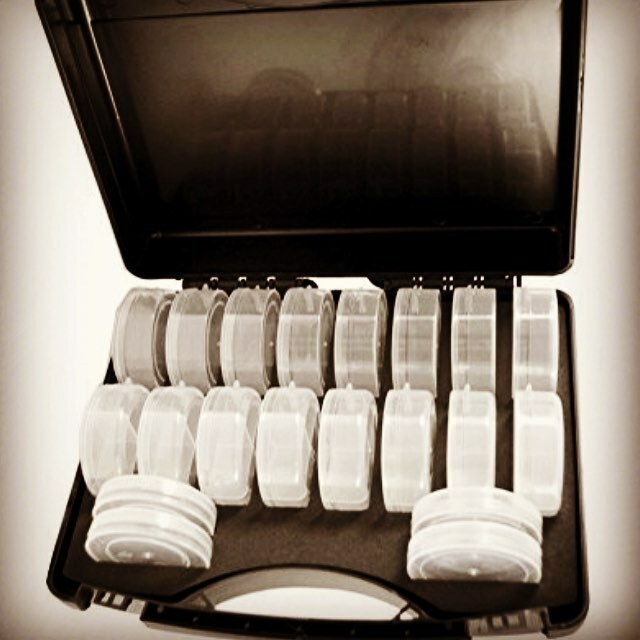 While it's really a travel tote for organizing craft beads called the JamPac, seems like a killer solution to get your flies sorted and under control. Plus, the black case screams, "Put fishing stickers on me!" This storage solution including the 20 storage cups, can be found on Amazon (of course) for $20, with Prime shipping. I have a small plastic holder that mounts 6 of these snuff cups. It's a pretty good solution for a boater, and storing loosely like this is the best way to keep dry flies. Thanks for sharing, Mike....I shared it forward with my fishing group on Facebook, "Palmetto Fly n Fish"
Cool, glad you liked the tip, and thanks for the share! Michael, that may just be what an old guy like me needs to help store fly patterns in a neat manner and ready for a quick trip to the ponds. Thanks for sharing. No problem. Thanks for stopping by Mel! What a fantastic alternative use!!! I might have to start tying a lot more trout flies because of where I moved and now having 30 minutes access to trout waters. Thanks, for the find and share!